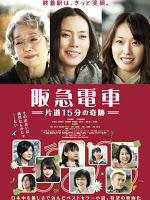 "Hankyu Densha" follows the lives of various people who commute on Hankyu Railway’s Imazu Line – connecting the cities of Nishinomiya and Takarazuka in Hyogo prefecture. One of the commuters is Shoko (Miki Nakatani), an office worker in her 30s who lost her boyfriend to a younger colleague. 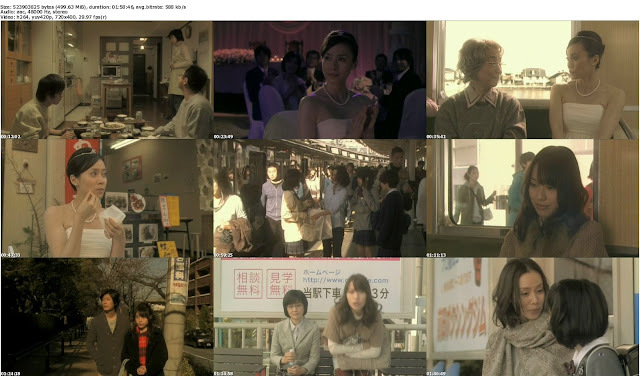 There's also a college student (Erika Toda) who is so easily persuaded by her no good boyfriend. Other commuters include a grandmother & granddaughter, a house wife, a female high school student, and a female otaku college student.